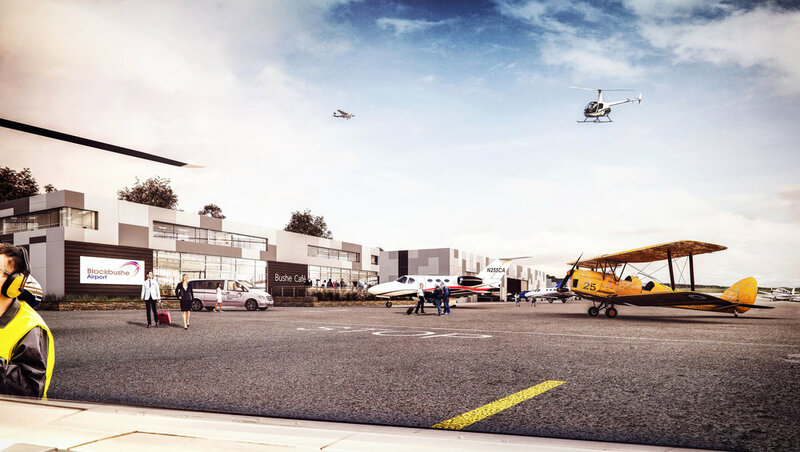 We were commissioned to produce artist's impression imagery for the proposed new re-development of Blackbushe Airport in Surrey. The goal of our imagery was to try and marry the tradition and history of the airport with everyday operations and vision for future expansion. If you would like to enquire about any of our Architectural Visualisation services please do not hesitate to get in touch.